A meandering path through trees and flowery bushes brings you to a pretty house with a sloping roof. The house nestles among more flowers. 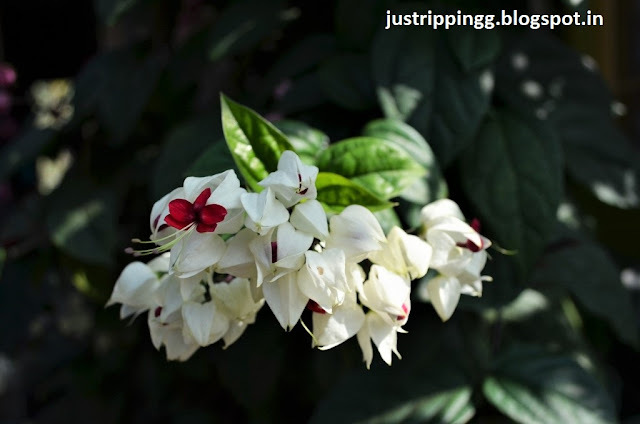 Whichever way you look, there are flowers smiling. This is the prettiest house you have ever seen – not in the hills or a suburb of a metro but in a village in one of the remotest parts of India bordering Bangladesh. Under brilliant blue skies with the sun spreading warmth on a winter December day, you find yourself in the most beautiful village. 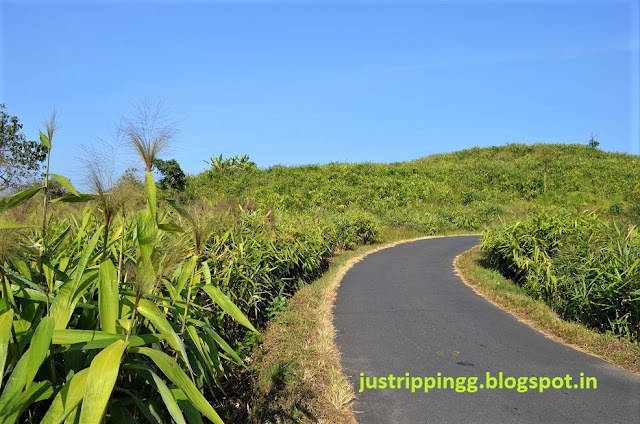 You have just driven through a scenic road with tall Broom grass lining the smooth tarred road on your way to Mawlynnong, ninety km from Shillong in Meghalaya. 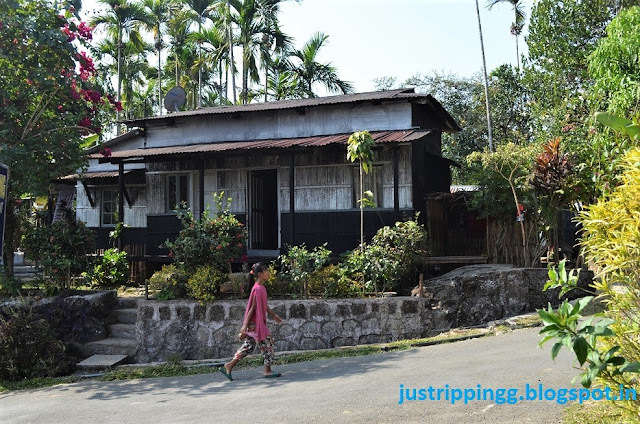 Mawlynnong has an unusually surprising tag especially given the sanitary condition of India’s cities, towns and villages. Oh yes, the cluster of flowers or inflorescence of Thysanolaena maxima or the Broom grass, grown as a cash crop, goes into the making of our household phool jhadu. It will soon have a serendipitous resonance with the fame of the village. 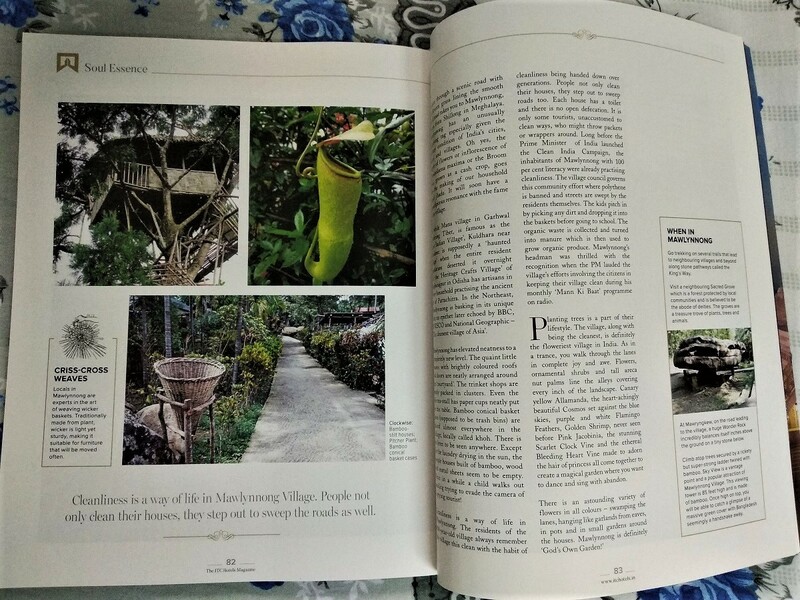 It will come as a surprise to all Indians that Mawlynnong was given the honour of “The Cleanest Village in Asia” by the travel magazine ‘Discover India’ magazine in 2003. Finally, villages of India are enjoying their days in the spotlight. 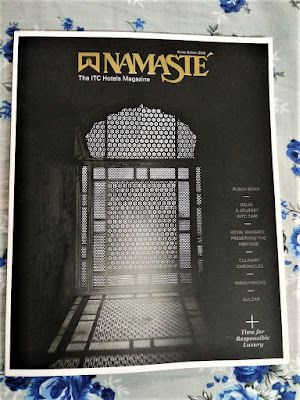 So while Mana village in Garhwal bordering Tibet, is famous as ‘Last Indian Village,’ Kuldhara near Jaisalmer is supposedly a haunted village when the entire resident population deserted it overnight and the Heritage Crafts Village of Raghurajpur in Odisha has artisans in every household practising the ancient art of Pattachitra. 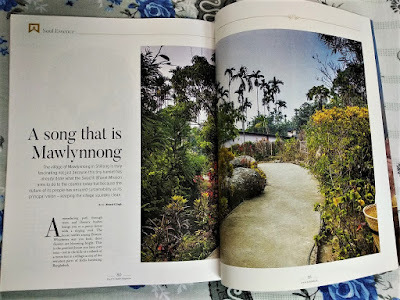 Back here in the North-East, Mawlynnong is basking in its unique title; an epithet later echoed by BBC, UNESCO and Nat Geo. Yes, the village is squeaky clean – okay the cleanest and the most beautiful village you have ever been to. 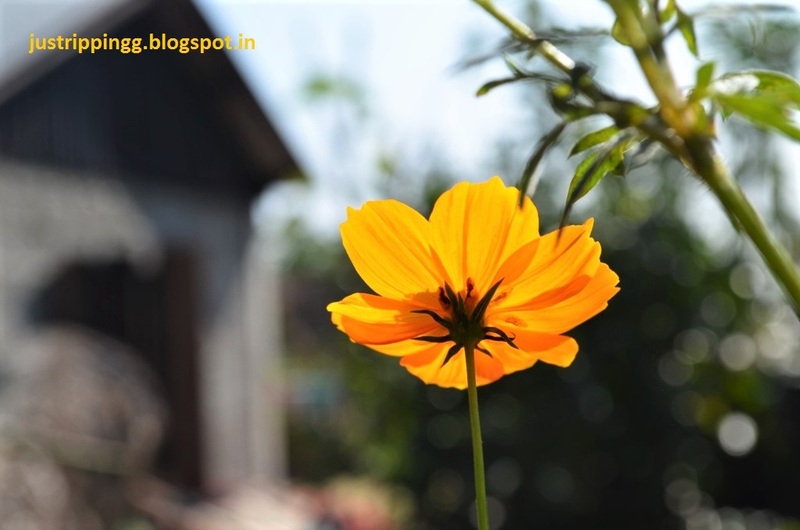 The greenery is everywhere, flowers glow in the sun and a gentle refreshing breeze tiptoes through the village lanes. 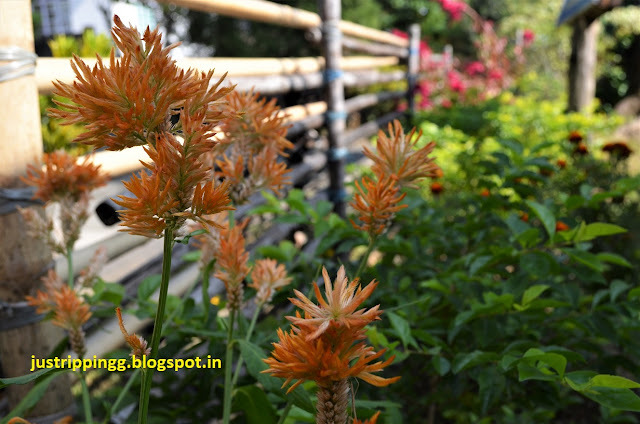 Coming from smoggy Delhi, it is hard to imagine that something basic like breathing could be so nourishing and refreshing. Now that you notice there are these bamboo conical basket cases, locally called khoh, that are supposed to be trash bins. There is no litter to be seen anywhere; there are no polythene bags or chip packets flying around. It is unbelievable that such a place actually exists in India. And it is so serene here. Except for the laundry drying in the sun, the simple houses built of bamboo, wood and metal sheets seem to be empty. Once in a while a child walks out smiling trying to evade the camera of a prying tourist! The village did not turn pristine overnight. The residents of the hundred year old village always remember the village this clean with the cleanliness habit being handed down over the generations. Children are taught to keep their surroundings clean. Each house has a toilet and there is no open defecation. It is only the tourists like us unaccustomed to clean ways who might throw packets or wrappers around. The village with a population of 500 and 90 families though has seen some changes; few cement houses have been built, roofs have satellite dishes and the cobbled streets have turned into concrete paths but the cleanliness ethos have remain unchanged. 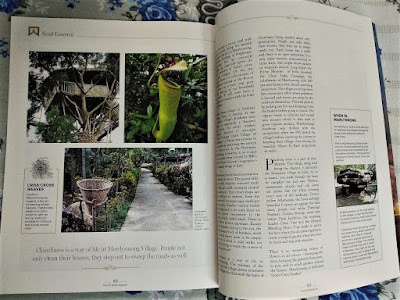 Long before the Prime Minister launched Clean India Campaign, the inhabitants of Mawlynnong with 100% literacy were already practising cleanliness. The village council governs this community effort where polythene and smoking are banned and the streets are swept by the residents themselves. The kids pitch in by picking any dirt and dropping it into the baskets before going to school. The organic waste is collected and turned into manure which is then used to grow organic produce. 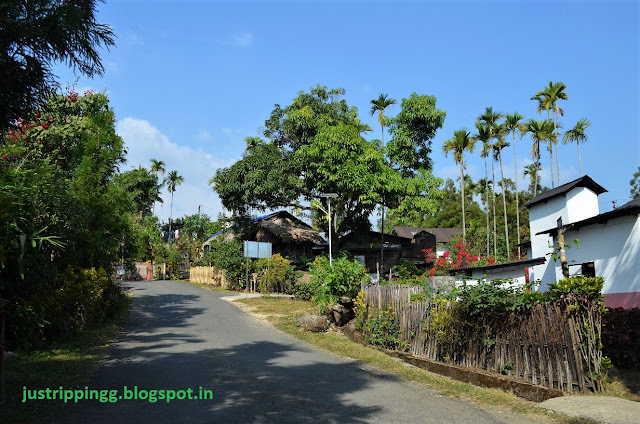 Mawlynnong’s headman was thrilled with the recognition when the PM lauded the village’s efforts involving the citizens in keeping their village clean during his monthly Mann Ki Baat program on radio. 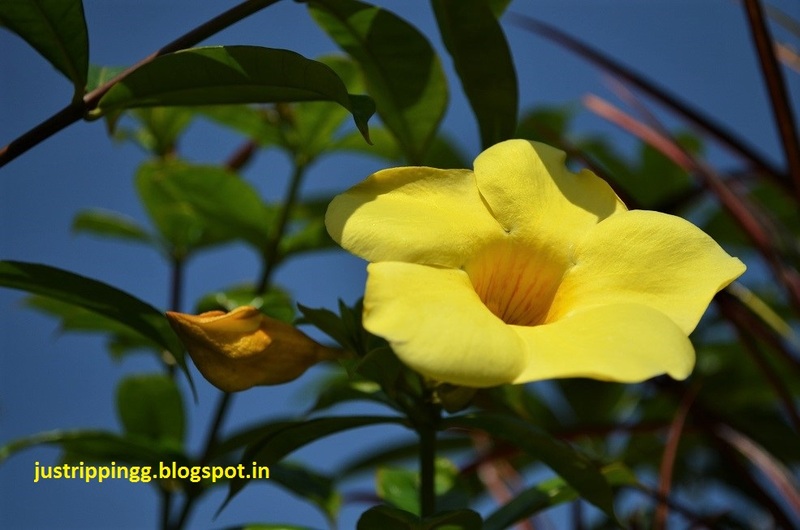 The village along with being the cleanest is definitely the floweriest village in India. As in a trance, you walk through the lanes in complete joy and awe. 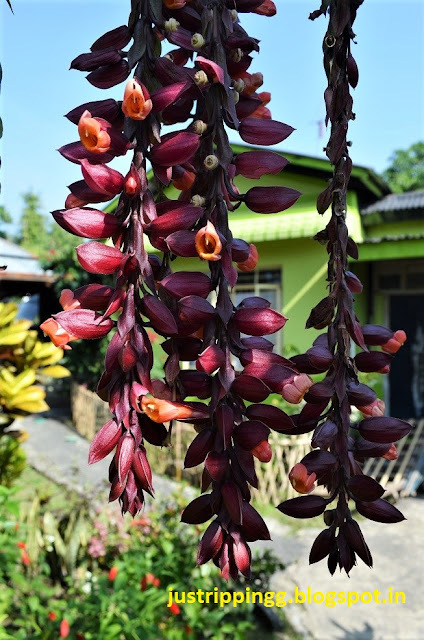 Flowers, ornamental shrubs and tall areca nut palms line the alleys covering every inch of the landscape. The feeling is almost similar to when you walked through the flowery canvas of Valley of Flowers in Uttarakhand. Canary yellow Allamanda, the heart achingly beautiful Cosmos set against the blue skies, purple and white Flamingo Feathers, Golden Shrimp, never seen before Pink Jacobinia, the stunning Scarlet Clock Vine and the ethereal Bleeding Heart Vine made to adorn the hair of princess all come together to create a magical garden where you want to dance and sing with abandon. Mawlynnong, in a remote corner of this incredible country, is a perfect stop to spend a couple of days soaking up the Khasi culture. The village has several homestays. One of these houses offers you a delicious vegetarian lunch. A guesthouse built of bamboo provides tree-top accommodation along with an unmatched experience. The ‘Sky View’ has a viewing gallery built high on top of trees that offers views of plains of Bangladesh. 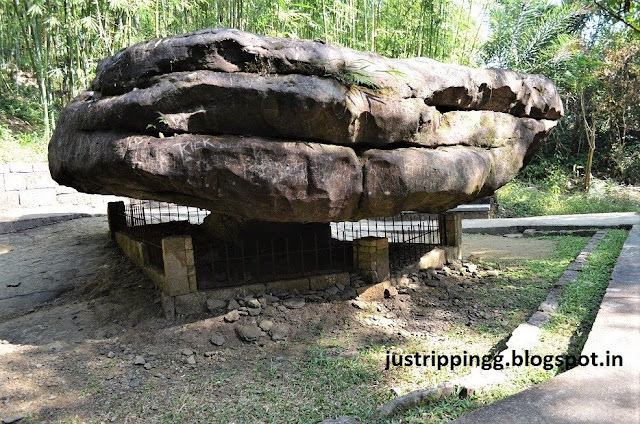 At Mawryngkew, on the road leading to the village, a huge Balancing or Wonder Rock incredibly balances itself inches above the ground on a tiny stone below. The biggest surprise is two kilometres away in the village of Riwai. Here you actually get to walk on a Living Root Bridge (Jingkieng Jri), a bioengineering feat, across a stream. 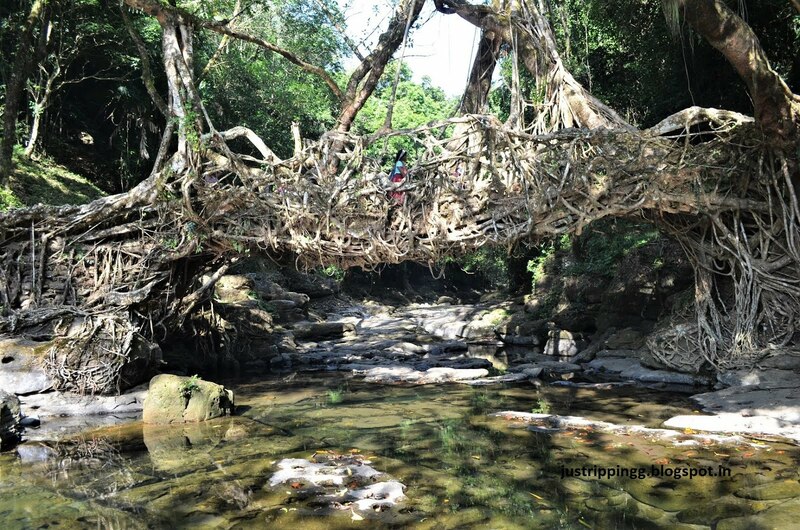 A living root bridge is an ingenious way of connecting communities across the criss-crossing streams in these remote locations especially during monsoons when the streams turn into swollen frenzy. The bridge is formed by training the aerial roots of rubber trees (Ficus elastic) through the hollow trunk of areca nut palms on either side to span the width of a river. It might take years before the intertwined and complex web of the living roots become strong enough to carry the weight of people. Some of the bridges are over hundred years old. 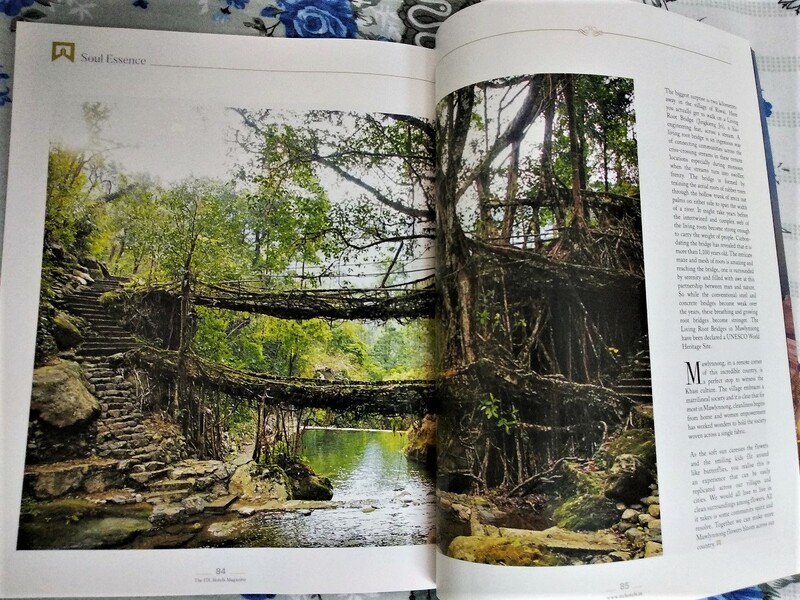 So while the conventional steel and concrete bridges become weak over the years, these breathing and growing root bridges become stronger. 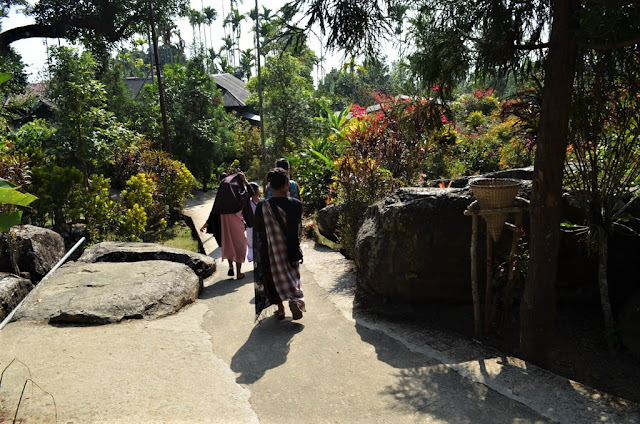 In Mawlynnong, do not think much about what to see or do; simply walk the village lanes. 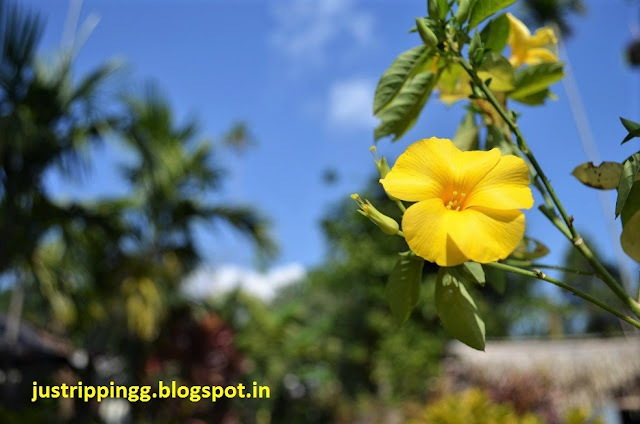 The flowers, the greenery, the tall swaying palm trees will keep you wonderstruck all day. The sheer variety of flowers is incredible. The cold winter afternoon has never felt so crisp and perfect. Few minutes of this experience is guaranteed to lull you into a sweet stupor. You wish, just like in the Haryana villages, there was a chaupal here too, so that you could have just pulled a charpai and napped sprawled under the gentle warm sun. 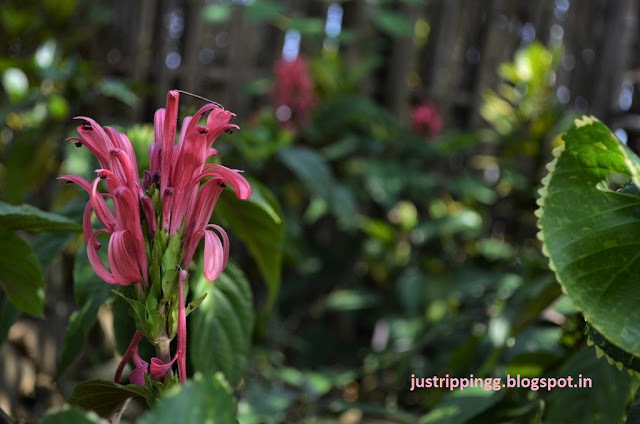 As the soft sun caresses the flowers and the smiling kids flit around like butterflies, you realize this is an experience that can be easily replicated across our villages and cities. 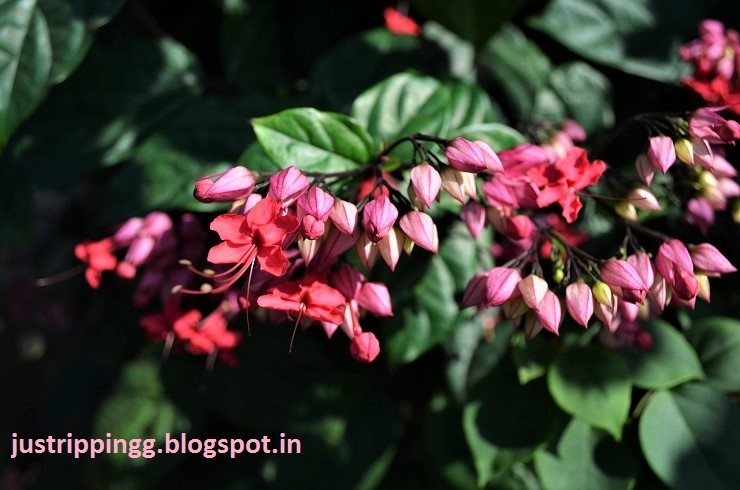 We would all love to live in clean surroundings among flowers. All it takes is some community spirit and resolve. 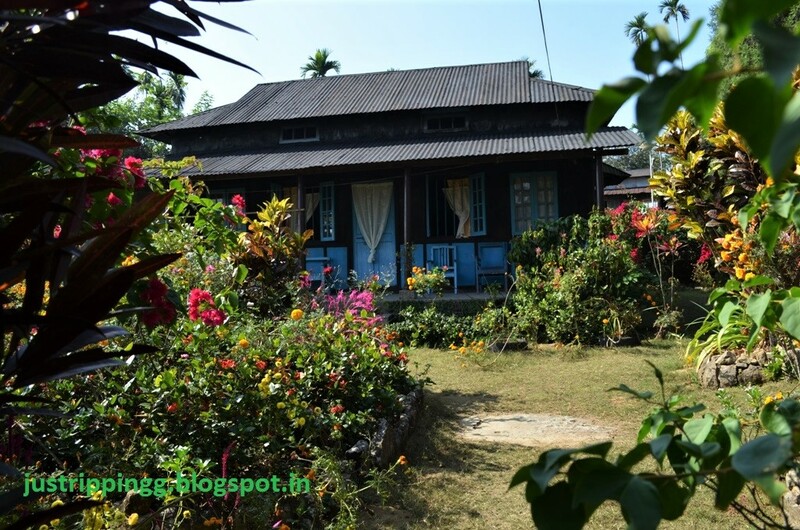 Mawlynnong does not need to feel like a foreign country. 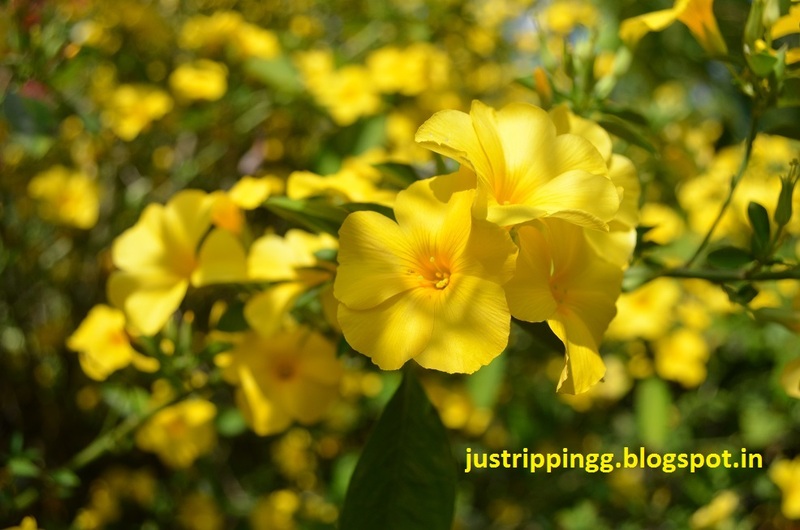 We together can make more Mawlynnong flowers bloom across our country. Mawlynnong is located in the East Khasi Hills about 90 kms south of Shillong in Meghalaya. The two hour drive is pleasant offering amazing views of mountains and narrow winding road through clumps of bamboos and broom grass. 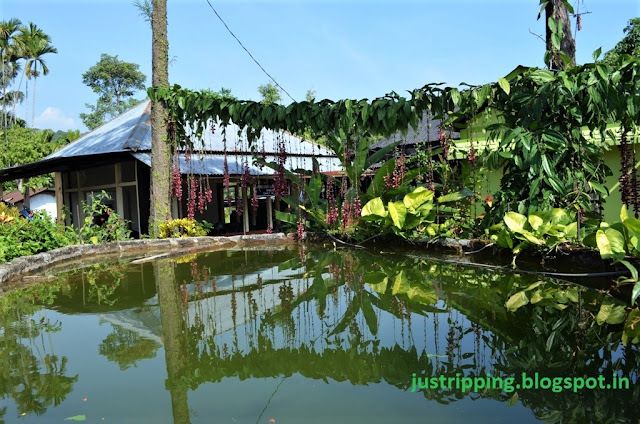 Hiring a taxi from Shillong is a good idea for the day long excursion unless you want to stay over in Mawlynnong in one of the several homestays. In that case, you can check with Meghalaya Tourism’s bus services that can drop you here. The office is in Police Bazaar, downtown Shillong. 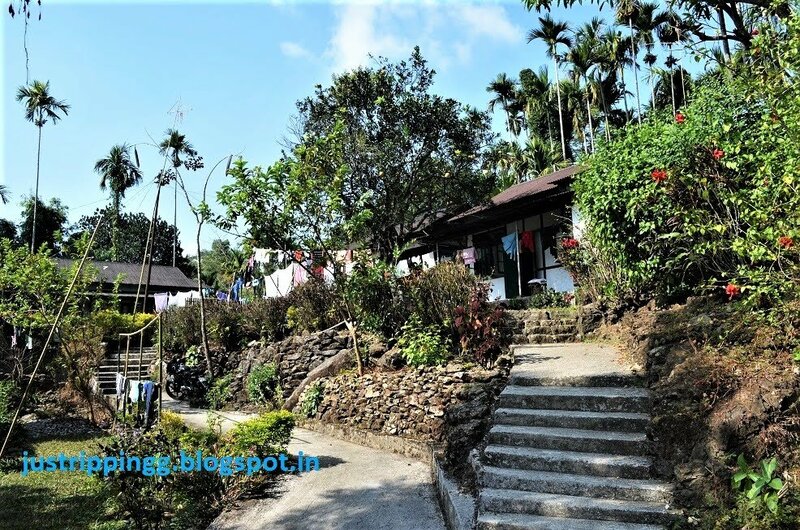 The Meghalaya Tourism buses only run if they get minimum 10 or 15 passengers. You can leave your phone number with them and if they get enough people by the end of the day, they will call you to make payment. Alternatively, you can take shared jeeps from Bara Bazaar with a stopover at the midway point Pynursla. Hire a local guide who can take you around the village. Stay in one of the homestays and mingle with local families. Go trekking on several trails that lead to neighbouring villages and beyond along stone pathways called the King’s Way. Visit a neighbouring Sacred Grove which are forests protected by the local communities and are believed to be the abode of deities. 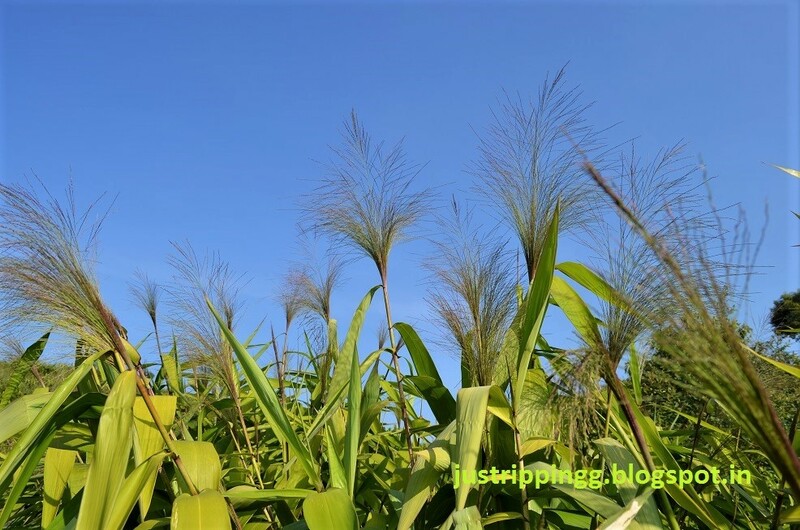 The groves are a treasure trove of plants, trees and animals. 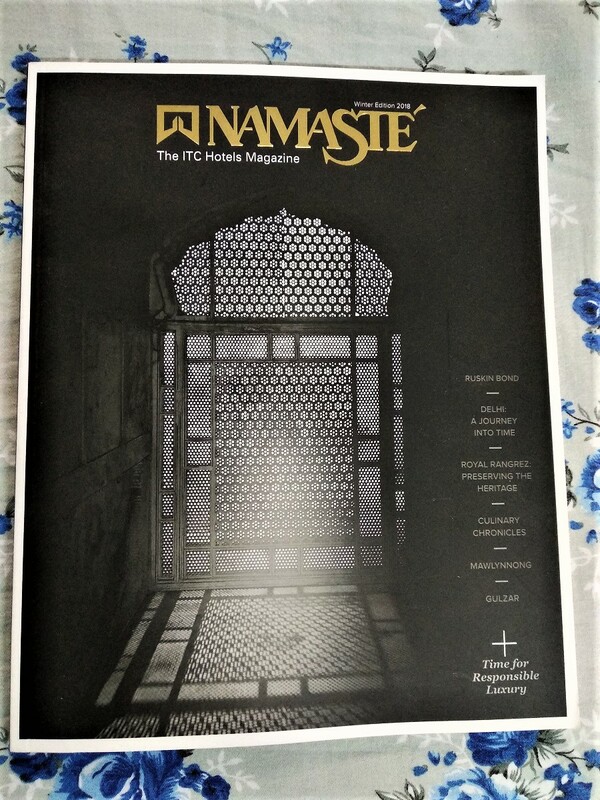 A version of the story appeared in the Winter 2018 edition of Namaste - magazine of ITC Hotels.